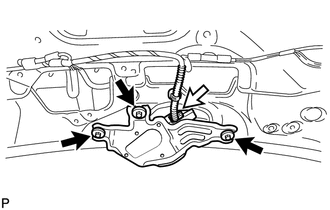 (a) Install the rear wiper motor and bracket assembly with the 3 bolts. 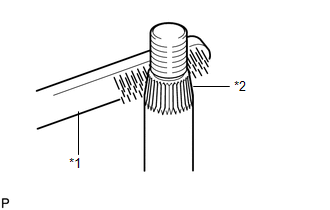 (a) Apply MP grease to the entire surface of the wiper motor grommet lip. Make sure that the hole does not get clogged with grease and the grooves on the lip are filled with grease. 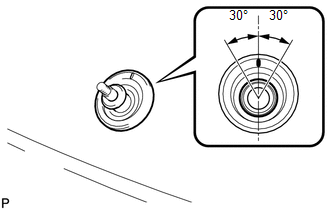 (b) Install the rear wiper motor grommet with the position mark facing upward as shown in the illustration. 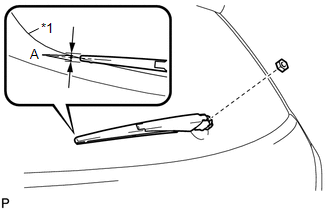 (a) Stop the wiper motor at the automatic stop position. (1) Clean the wiper arm serrations. (1) Clean the wiper pivot serrations with a wire brush. 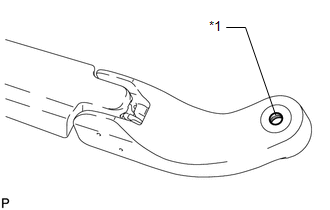 (d) Install the rear wiper arm and blade assembly with the nut to the position shown in the illustration. 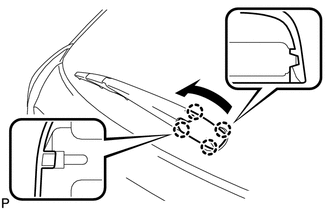 (e) Operate the rear wiper while spraying washer fluid onto the back door glass. Make sure that the rear wiper functions properly and the wiper does not come into contact with the vehicle body. 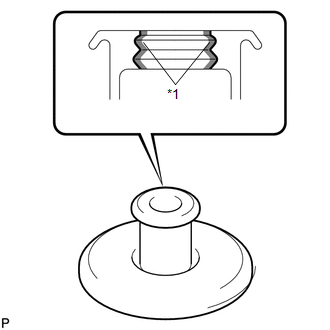 (a) Engage the 4 claws to install the cap as shown in the illustration.